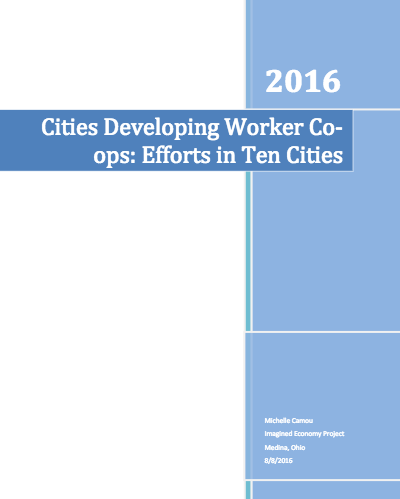 This new report from the Imagined Economy Project assesses municipally led cooperative development approaches used in ten cities across the United States. Highlighting The Democracy Collaborative’s work in Cleveland, Ohio; Rochester, New York; and Richmond, Virginia, the report identifies Anchor, Ecosystem, and Preference as three distinct approaches to advance worker-cooperatives as a means to achieve inclusive economic development. The author discusses the impact of City efforts to date and cites the establishment of cooperative development programs within city agencies and the funding staff positions for this work as best practices.